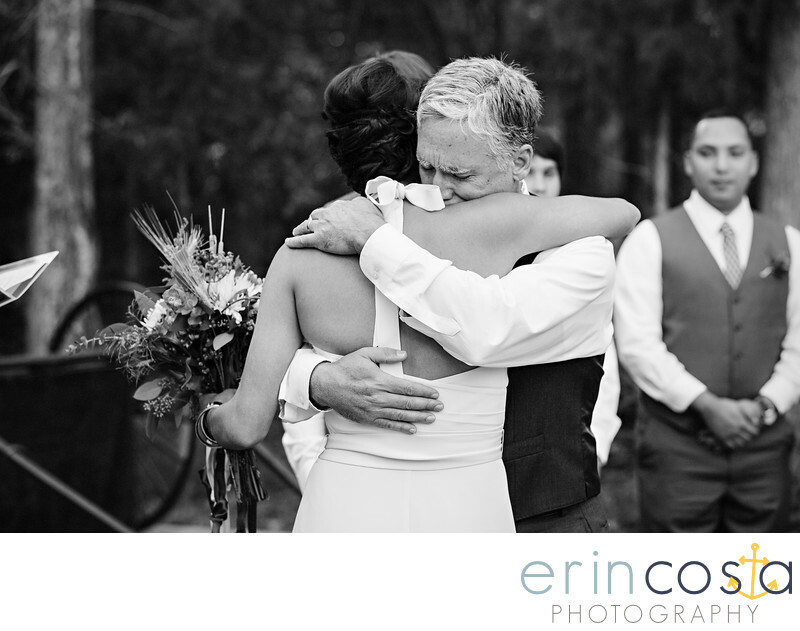 An emotional moment between dad and daughter as he gives her away at the Chapel Hill Carriage House. Photographed by Chapel Hill wedding photographer Erin Costa Photography. Location: Chapel Hill Carriage House.